UCLA cornerback Fabian Moreau was drafted 81st overall in the 2017 NFL Draft on Friday, going to the Washington Redskins in the third round. 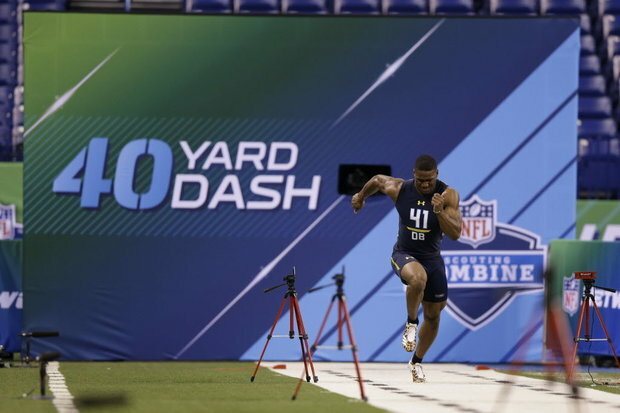 After starring at the East-West Shrine Game and running a 4.35 40-yard dash at the NFL scouting combine, Moreau suffered a chest injury at UCLA’s Pro Day that required surgery. The injury may have damaged his draft stock in a deep group of draft-eligible defensive backs as he was considered a possible late first-round prospect. The 19 defensive backs (10 cornerbacks and nine safeties) taken in the first two rounds were the most for a single draft in the common era. Moreau, who was the 12th cornerback taken, is expected to be healthy for training camp. NFL Network’s Mike Mayock commended the pick, saying Washington “got a starting corner” in Moreau, despite the uncertainty surrounding the injury. The former running back led the team with 10 passes broken up, with 12 passes defensed. He earned All-Pac-12 honorable mention as a sophomore and followed that up with second-team all-conference honors as a junior. After a Lisfranc injury put a premature end to his senior year, Moreau came back in 2016 to lead the team with 10 passes broken up, with 12 passes defensed. He was named an honorable mention All-Pac-12. Moreau is the first defensive back to be drafted out of UCLA since free safety Rahim Moore went in the second round (45th overall) to Denver. This entry was posted in Football and tagged Fabian Moreau, NFL Draft by Thuc Nhi Nguyen. Bookmark the permalink.